My kiddos have always been quite picky eaters. We have looked for ways to hide some of their favorites into some dishes. 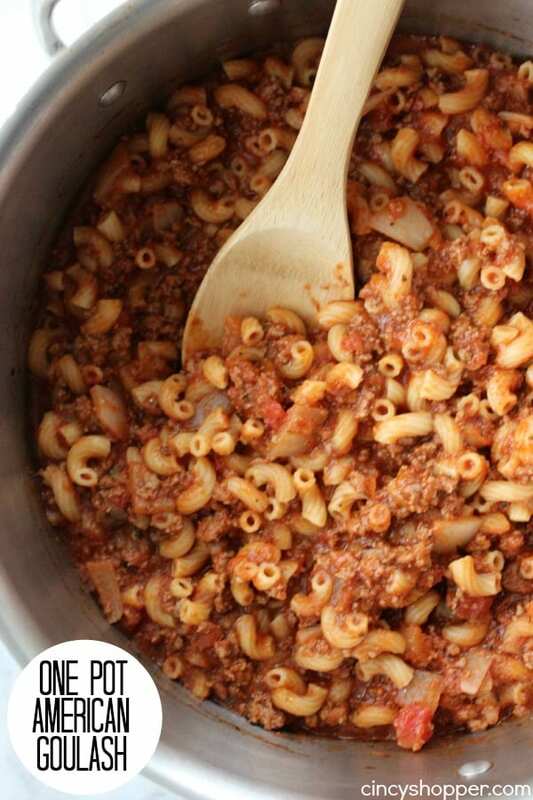 They now love our One Pot Pepperoni Pizza Pasta and also our Chicken and Broccoli Pasta. Since the kids were very young, they took a liking to gravy. They were also fans of hamburgers. One of their favorite dishes was Meatloaf. 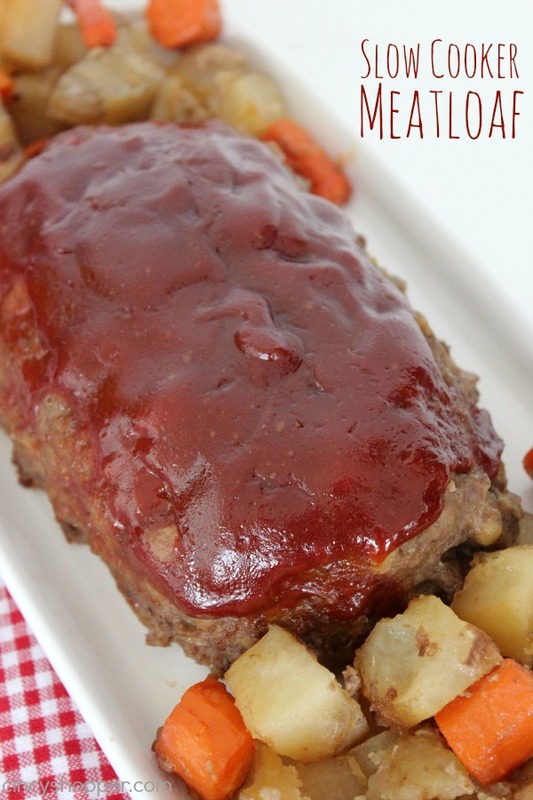 So I often make a good Slow Cooker Meatloaf for dinner. 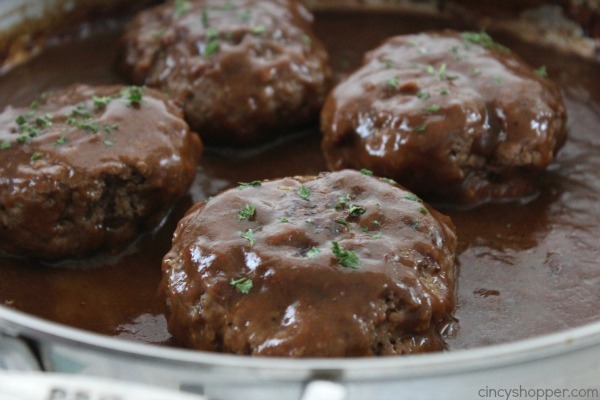 The hubby and I decided years ago to have them try Salisbury Steaks. They were a hit with the kids immediately. So for years we have been making them. 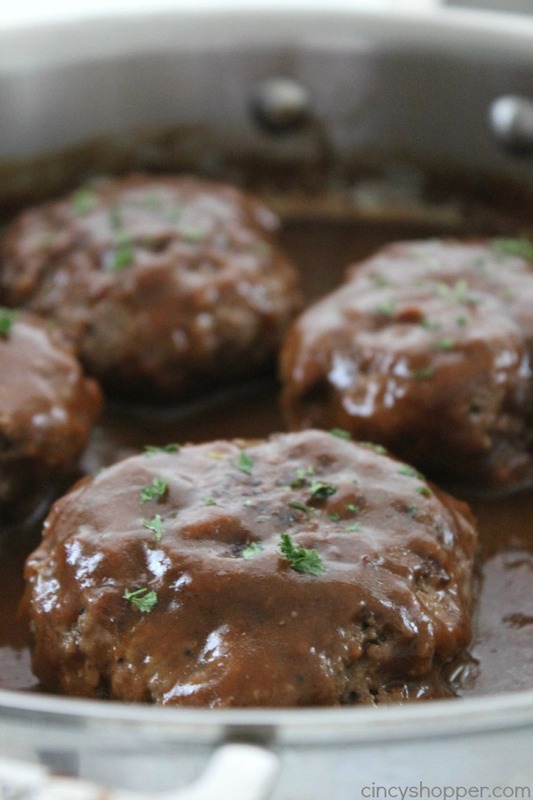 I recently came across the Pioneer Woman’s Salisbury Steak Meatballs and decided to add some additional flavors to our Salisbury Steaks. The addition of bread crumbs, ketchup, and mustard were great for extra flavor. We will usually make one pan of Salisbury Steaks for the kids and one pan for us. Our pan gets loaded with mushrooms and onions too! 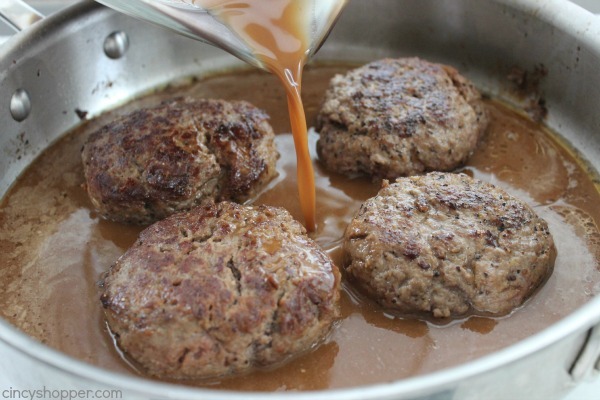 The gravy and spices added to simple ground beef patties just kicks a boring meal into a pan of comforting patties. 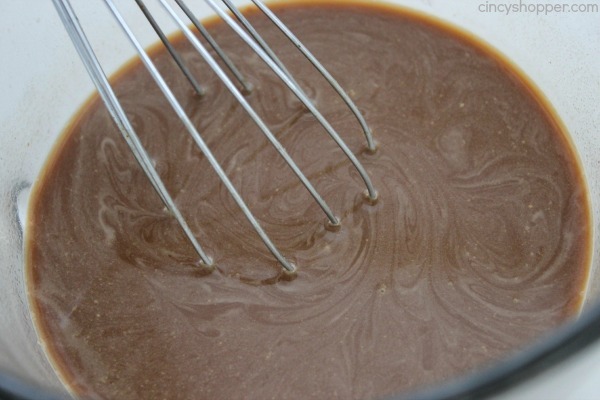 I use packaged dry gravy mix (you could use homemade or even jarred gravy) to keep the meal quick and simple. Make some homemade mashed potatoes or even a box of instant potatoes works when in a pinch. 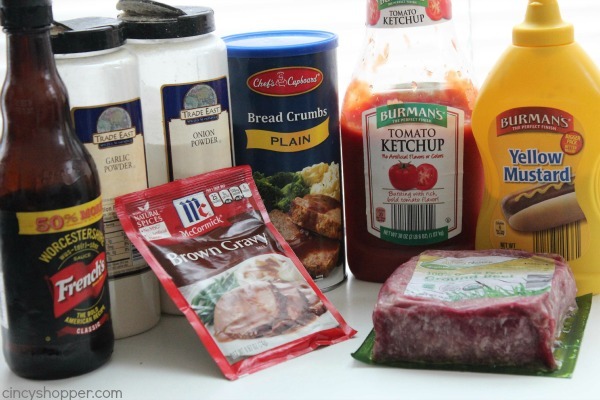 The ingredients needed to make your own homemade Salisbury Steaks is so simple. You will need ground beef and other items found in your fridge and pantry. You can have dinner on the table in know time at all. Do you have a favorite quick and easy meal that you whip up for your family? I do this everytime I need breadcrumbs. Especially in meatloaf, I even use it for porkchops. 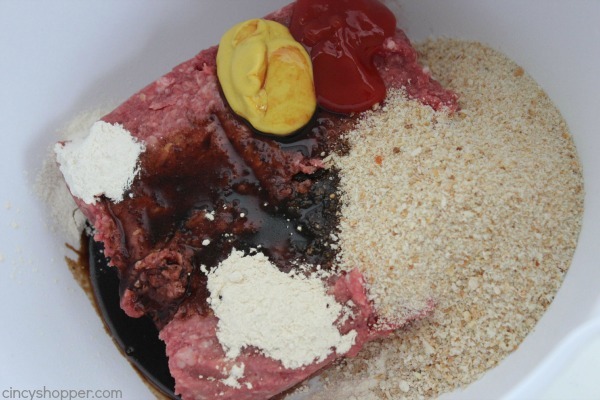 Grass fed beef but chemical filled ingredients for the gravy….interesting combination. Will be trying the recipe but will keep the chemicals out of mine. Also, use ginger ale instead of water for gravy……ah-mazing!! What does that do for the flavor of the gravy? Awesome , just bought some this weekend will be trying this recipe along w/ ginger ale!!! Thanks for tip ?Ms. Linda. Interesting idea!! I am trying that next time. Thanks! btw, where did Jen mention using grass fed beef? You took the words right out of my fingertips! Thank you. She didn’t so much mention it, but the beef in the pic is grass-fed beef from (Aldi’s?) I think. Don’t all cows graze on grass? I just have ground chuck and brown gravy because it sounds yummy. I think whatever you use today probably something in it is processed don’t mind her comment, it’s an awesome recipe! You’re kidding, right? No, not all cows graze on grass. The beef you buy at your local grocery store comes from factory-farmed cows that are raised on concrete feedlots and are fed a completely unnatural diet of processed grains to help fatten them more quickly for slaughter… not to mention the antibiotics they have to consume to survive the deplorable conditions. Which you also eat. I am shocked by how little interest people have in what they are eating, and how what they eat was treated. I agree Kevin, I’d wondered if it was just me or if everyone caught the nasty attitude in Jennifer’s post, as well as the remark RE: grain fed beef, when there was no mention made of using grain fed beef. lol! I was thinking the same thing! Do you HAVE to be snarky? Interesting…. Say it like it is Kevin! If it bothers her let her get on a Organic Site!! WTH? Sounds like Satisfied to me!! YUM!! Serve me up chemical yes please! Probably didn’t need to post! Geez, if you don’t like a recipe, then move on — no need to add your snarky comment. Give it a rest. Make it your way without the soapbox. Thanks Cinco for a delicious looking recipe. Can’t wait to try. Why do you have to cut someone down? All you had to do was make your own adjustments to the recipe. You didn’t have to be so snotty. There’s always that one person…? Wow, what a snarky comment. Kudos for you for posting a ridiculous comments on someone’s post, if you don’t have anything nice or constructive to say move along. Do you have an estimated cooking time for the salisberry steaks once gravy is poured overtop of them? ADD AN EGG!!! Followed the recipe to a T and the patties crumbled. Popped them in the oven. Agreed!! Not enough binder with the breadcrumbs, they fell apart when I pan fried them. Egg is a must. If I use 2lbs of beef for my hungry family of 6 will there be enough gravy or do I need to double all? For the bread crumbs, are they supposed to be dried, or just regular bread crumbled? I just use regular store purchased dry bread crumbs fro ma can. Ive been wondering how Italian flavored ones would be. Made this tonight. It was delicious! I did take the reviewers advice above and added an egg. Came out perfect. Will definitely make it again! These look fantastic! 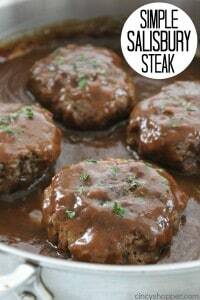 And it’s high time I try salisbury steak on my little ones (because really, what’s not to love?!) Pinning! Since finding this recipe I make it for me and my wife all the time. I use 2 lbs of meat so I double everything but instead of onion powder I use a pack of onion soup mix. Its wonderful. I also triple the gravy because I usually make mashed potatoes with it. A VERY yummy tasting dish. We love it. Thank you. Is there no need to add about 1/4 cup of water with the onion soup mix? I use the soup mix in my hamburgers but it calls for a little water. My mom used to make this all the time when I was younger. Boy, does that bring back memories. Thanks for linking up with Delicious Dishes Link Party! Yummy, yummy in my tummy! We’d have the mushrooms and onions with ours! So glad you share with us at Merry Monday. There is no mention of draining the grease before adding the gravy mixture. Does it need to be drained? Thank you for the Salisbury recipe. It was so yummy! YUM!!! My son requested this for dinner tonight and it was the best I’ve ever made. Really enjoyed the flavor and it was super easy. Will be keeping this recipe handy! Thanks so much! I thought it was tasty too. Because I am feeding a family of 5, I doubled the recipe. I also cooked some onions in butter until they were translucent, and then added a little bit of flour to the mixture, cooked for a minute, and then added the gravy mix, cold water, and some beef broth on top of that. Hey Jen! I love the recipe I am going to try it with the egg also. You know I am 64 and over the years I have learned that the people who think they know the most always know the least. The snarky comment above was so uncalled for and ugly and I hope you didnt let it bother you. some people are just plain rude and should be shunned from positive uplifting people. Try to not let their comments bother us because they aren’t worth the time it takes to be bothered. Takes time to learn how to not let it bother you but it is well worth the practice. Who cares why they are rude and hurtful, most people like that get off on it so it is best to just ignore them and as I say, “shun them”. They are from a different breed of human and are very un-evolved. I am making the recipe tonight and I will definitely put an egg in and use the bread stuffing, I love the stuffing in comfort foods. Thank you for posting this wonderful recipe with all the great pics. Thank you for this recipe! I made it tonight and all 3 of my boys LOVED it! It’s rare to find something they all like that is easy to fix. I made this last night and we DEVOURED IT. ABSOLUTELY DELICIOUS AND easy. Adding this to the weekly menu! Kept recipe as is….yum! Walked right into ‘snarky’ comment – glad to know it was’t because of me! I’m a solo older gal who mostly eats out – but there are those taste buds getting in the way. My diet is supposed to be based on good ole gout – and it’s not easy to do, whether out or in. I love gravy and sauces, meat, and shellfish. No-No foods. 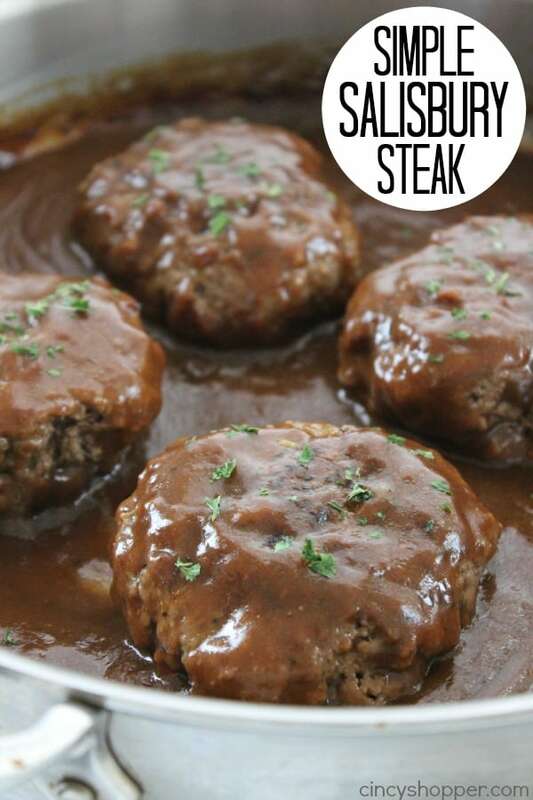 Arthritis doctor said I could eat everything – ‘just in moderation’ – and I’m hoping to try this salisbury steak. Wondered how adding an egg to the beef would hold up if I grill it? Can it be grilled? Suppose some trial and error are in the foreseen future for me, ’cause I can’t wait to make this! I Lou, I think the egg will be o.k. in the meat. Many years ago I would broil what were like small meatloaves (6 to a pound of ground beef) and added one egg into the mix which has some small broken bits of bread in it, onion and green pepper, and and of course seasonings. The egg provided a bit of moisture, and the whole thing was delicious. I don’t see ‘egg’ listed in the Salisbury Steak recipe. My mom did do egg in meatloaf and also in mashed potatoes! I still like mashed with the egg – makes a nice color, aside from adding more protein. When making meatloaf, I also add an egg. I made the Simple Salisbury Steak for dinner last night. It was so moist and delicious. My family loved it! This recipe will definitely be part of my meal rotation. 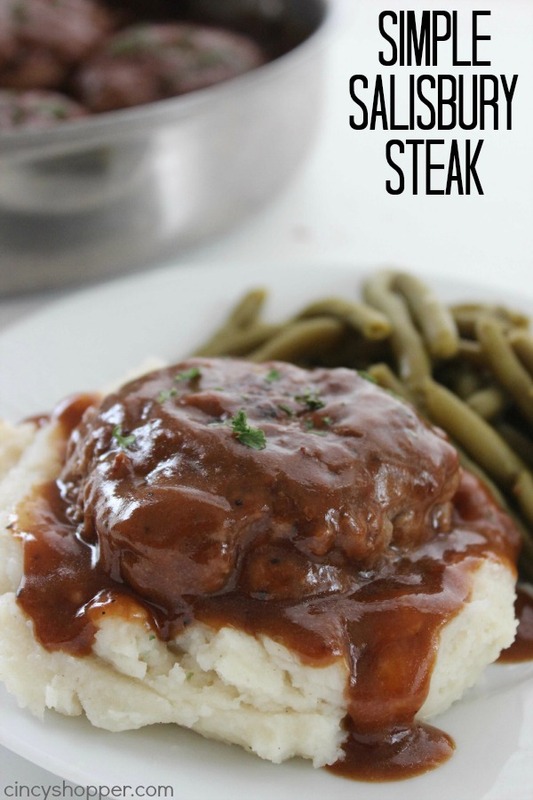 I love Salisbury steak- what a perfect weeknight recipe! Made this for dinner last night and it was a hit. Both my husband and 2 year old daughter loved it! Will be making this again in the future. Thanks so much for joining us at Delicious Dishes! 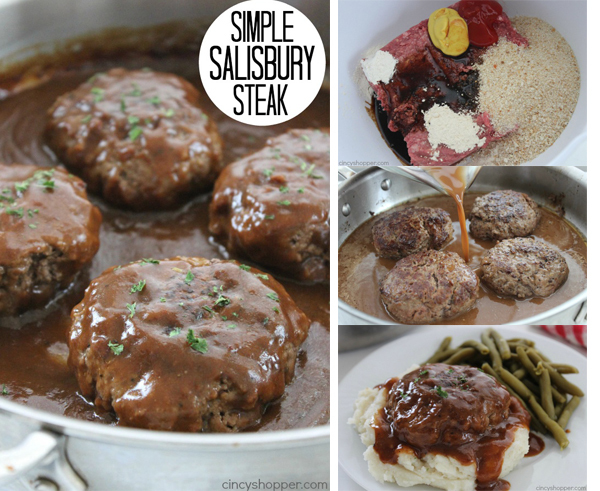 We love your Simple Salisbury Steak recipe and hope you’ll join us again this week! Could I use oats in place of bread crumbs? I always use raw oats instead of breadcrumbs. Healthy way of stretching your meat further and making it more filling. 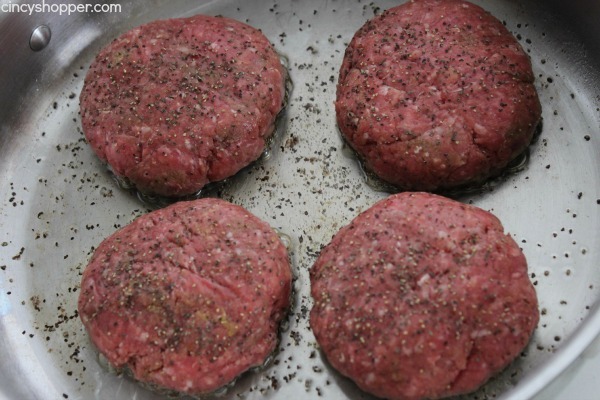 As it cooks it absorbs the flavour of the hamburger and has a similar consistency to ground beef. I agree… it gave them a richer, denser consistency than bread, while still breaking up the ‘meat log’ effect. I’d forgotten that, ’til I read your post. Thank You, for jogging my memory! Is the ratio/measurement for oats the same as for breadcrumbs??? Hi, I made this tonight for dinner and my entire family devoured it (even my picky 8 and 5 year olds)! I did sub in ground turkey for the beef as my husband is watching his cholesterol and it was delicious. I really needed new weeknight recipes and this one will be made a lot…thank you so much for the recipe!! This sounds very much like a recipe I used to make years back when I had time and energy to cook from scratch for the family. The kids are long gone now, we have been married for 40 years, and I am disabled now and unable to spend much energy or time in the kitchen cooking meals for the two of us. I do a lot of slow cooker stuff though, and wanted to mention that there is a great “Happy Medium” between all the work of making homemade mashed potatoes and the “boxy” flavor of instant. Ore Ida (I think) makes wonderful frozen mashed potatoes! There’s nothing in the bright red, microwavable bag but pure, simple potatoes, already peeled, cleaned of “spots” and cut up in small chunks. I pop the whole thing in the microwave, back of the bag up, for 10 minutes, while I’m tending to other parts of the meal, and when done, cut the bag open and dump the contents into the mixing bowl of my “baby Hobart” KitchenAid stand mixer with the paddle on it. I cook with real food. So real chunks of salted butter are in the bottom of the bowl when I dump the potatoes in on them (you can use whatever you normally do, but if you’re going to the trouble from the beginning, you might as well make them good!) and they start melting, while I heat up a half cup of milk in the microwave (if yours has a “Beveridge” warming key on it, that’s perfect) to add to the potatoes while mixing them with the butter, salt and pepper. Hot milk seems to keep the potatoes from getting gooey like they sometimes do when you add in cold milk, and keeps the potatoes from cooling off too! While the mixer is tending to the potatoes, running on about “2” or “3” then I can be finishing up whatever else I was doing, like finishing up cooking the entrée and veggies, making a salad, or checking on a few biscuits in the oven! Also coming frozen in a bag, so I can only make 3 or 4 biscuits at a time if I wish. They always come out wonderful, no mess and no work! Just take them out of the bag frozen, put into a small cake pan and baked! Few to no leftovers to get “spotty” waiting for someone to come back and finish them, you can always have fresh. I have had to learn to make a lot of adjustments and concessions since I have become disabled, and my cooking has been a big one. Veggies in a microwaveable bag is another one! Now this recipe I could mix up in the mixer, with the dough hook, since a bad right shoulder won’t let me do it by hand, like I used to. If you still do, set the bowl down in the sink when you do. It gives you a more ergonomic “angle of attack” to do the mixing, and anything that spills out over the side of the bowl in the way of liquids or dry ingredients can be washed right down the garbage disposal. Or, it you put a dish towel under the bowl to keep it from sliding around you can gather up everything dry that spills over (if any) and shake it out over the trash can. Thanks for the great reminder of simple heartwarming comfort food! Bon appetit! Thank you for the tips. I also always mix in the sink (making sure the sink is clean and the soap won’t get into the bowl). Did anyone need instructions for mashed potatoes? Shari D., your situation sounds almost identical to my own. Not being able to cook the way I used to is one of the greatest frustrations in adjusting to being disabled. However, I do have one bit of advice I would like to share with you. I, too, have bad shoulders. I got them replaced with artificial joints. They are not as good as when I was twenty years old, but there is less pain, and I have more and better use than before the surgery. I also have one artificial knee, and that too is a surgery I highly recommend in terms of results. I probably will need the other knee and both hips replaced in the near future — I have a particularly aggressive form of arthritis that is destroying all my joints. Even my back is held together with rods and screws. 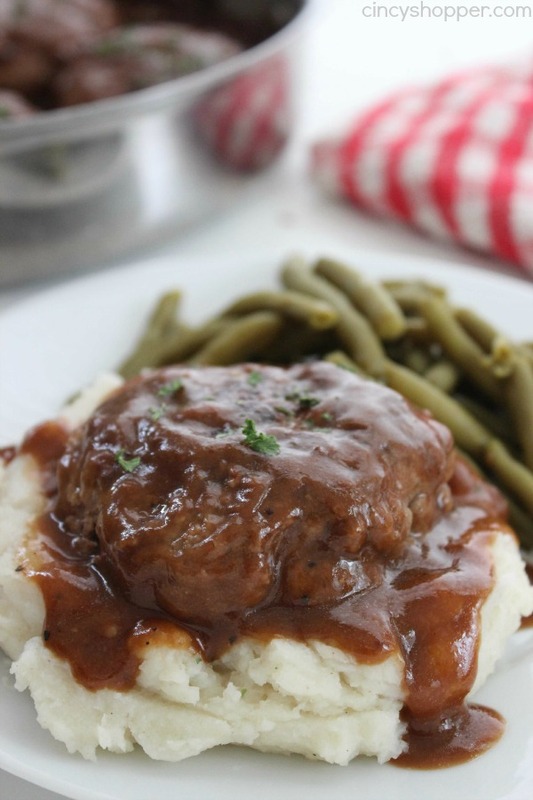 Recipes like this one for the Salisbury Steak are wonderful for me, because they are a happy medium of “made-from-scratch” and “take some help from mixes”. Sometimes the mixes are just as good as scratch (or even better . . . sssh!). I am so grateful to Jen for sharing her recipes honestly, including the occasional shortcuts. Why couldn’t you just mix it in the sink for that matter?. I have never done it before, but your post gave me an idea. I am an older single gal, why not just sterilize one of my stainless sinks and mix the meat in that with my hands and then just ajax the sink when done? Talk about easy. I also live on a boat and pulling out my kitchen aide mixer is too much trouble. I am going to try the in the sink method using the sink as my bowl tonight. Thanks for the idea. Love your post and the cooking hints – I’ve been married 40 years too – and I’m disabled also so I know what you mean about not enough energy to stand and cook for a long period! I drained the grease before adding the gravy, it turned out much better! Also, I didn’t think about adding an egg to the mixture, but I did however add a tad more breadcrumbs because the raw meat mixture was a little wet. I also added a tsp of original Mrs dash seasoning, used garlic and herb bread crumbs, and used one regular brown gravy mix and one reduced sodium gravy mix to cut back on the salt, and was still plenty salty! And I heated the pan to a higher heat initially to sear the patties so they would hold together better, and they held together just fine :) thanks a bunch! Def a keeper! I’ve not tried this recipe yet, but I intend to try it very soon. I was just thinking this might be really good served on a bed of rice as well as mashed potato. I’ll probably make a bit of each as some members of my family would rather have mash potatoes, but I love rice and this just sounds like a great pairing. Thanks for NO rice recipe! I am currently making this recipe but am substituting a few things. I use a package of stove top chicken flavored stuffing mix instead of bread crumbs. I also use 1 cup barbecue sauce in this besides mustard. And I add 2 tsp of poultry seasoning. Serve with homemade mashed potatoes and green beans. :) :) I also add in an egg sometimes 2 depending on how much meat I use. Today I will probably use 2. Like the recipe calls for except I doubled the recipe, added 2 eggs and added mushrooms and onions to the frying pan right before I put the gravy in. My husband and 10 year old son devoured their dinner in record time and were so full afterwards it made me smile! Thank you so much for sharing! This will definitely make an appearance on my dinner table again in the near future! And it was quick to make too! My son and his wife are working hard & going to school PLUS they have a baby. I’m going to make this for their Monday night dinner with enough for two nights. Leave it as a tasty dinner surprise at their house. Thanks for this wonderful recipe. Delicious! The patties were perfect. Only change was using 1 pkg of brown gravy and 1 pkg of onion gravy mix. My husband said it was perfect, like The Grand Luxembourg in Chicago. This was so easy and so delicious! My hubby had all three burgers!! I’m making this right now and it smells so good. Thanks for the recipe! I never made his recipe before other than simply made hanburger patties, cooked them and made gravy but all this stuff going into it sounds delicious. I have the meat all prepared for supper so am very much looking forward to tasting these delicious steaks. I also read all the comments and to all, thanks for the advices, changes to the recipe and adding this and that and substiuting this for that. I took notes of all that and will use those comments. Great recipient! Sometimes I make this into a meatloaf, saves a little time. Also, freezes well!! I just made these …Flavour wise…Great…But I’d leave out the breadcrumbs, perhaps I should have cooked them a tad longer,they were ” mushy” I’d prefer them a tad drier ( I know that sounds goofy) ( who likes dry meat lol) But..It was good, I’ll do it again, Thanks!! Looks delish!! Is there any adjustments needed if I use another of beef gravy vs. the 2 dry packs? This recipe was super simple, which I like. A few adjustments I would make would be a little less breadcrumbs, I feel the flavor and texture of the patties kind of got bogged down with all the bread. Other than that this may be my go to recipe for a quick week night meal! Fantastic recipe. Whole family enjoyed it. Definite keeper. Just made this dish for dinner. It is so good. I noted there is no salt or pepper in ingredients. But…for me , I did not miss it and I’m glad. I’m always happy to use less salt. I prefer Salisbury steak to a good hamburger. So comforting. I will make again and again. Thanks for sharing. It’s too bad there are so many negative people in the world( Jennifer) regarding your remarks about grain feed beef. I tried the recipe, it was wonderful. Thanks for a delicious recipe! Made this last evening for supper. Good thing I made enough for left-overs, because my husband wants them for supper tonight! Made as written except for one thing…..I had no gravy mix on hand, but did have beef stock, so I made the gravy from that instead. I’m sure that it made very little difference. This would be wonderful gravy for swedish meat balls too. Love the recipe! Thanks again! So many comments! I am trying this in about an hour and plan to add the egg. I just wanted to tell you how much I appreciate a recipe that is easy to do for a full time working mom on the run! I hate cooking but when I find a recipe that is this easy and the ingredients are all things in my cupboard I feel like a little piece of heaven entered my life! Thanks a ton for sharing and helping out another everyday mom. My husband says “This is EPIC! How soon can we have it again?” Super delicious with some roasted garlic mashed potatoes. Excellent recipe, I made a few modifications, do add an egg, add 1/8 pepper, add 1/2 c. Of water & heavy cream to gravy, also add sautéed onions & mushrooms to gravy. I used 2 onions & 8oz. Sliced white mushrooms. Over homemade baby red mashed potatoes, skins on of course, use heavy cream in potatoes also, brings flavor out. Fresh green beans. Totally awesome! ? Followed the recipe and it was great!! My kids are very picky but loved this!!! My son said it wasnt good it was awesome! I am going to make this tonight. It sounds delicious and I’m sure it will be. In reference to the “snarky comment”, I must say I love Jake’s response. Boy I wish I would have read the comments first! …. mines totally fell to pieces while cooking. I will try again and use the egg next time. But… totally tasted great, picky 8 year old loved! This is so very good! I’ve made this recipe a couple times, following the exact ingredient list and directions, and it has turned out perfect both times. Thank you for sharing! Simple, delicious and hearty. Paired with mashed potatoes and corn and it was a great dinner! 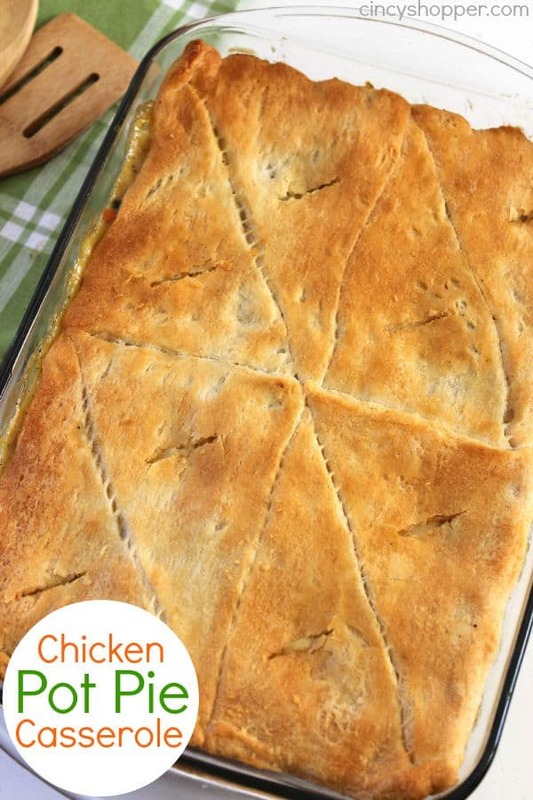 So easy that it could be made on a weeknight! My whole family loved it! Great simple recipe! Was looking for something different and found this. You make it alot more simpliar than some other recipes I have seen. It is a hit in my family! Now one of my go to recipes since we all love it!! I made this tonight and it came out great. I added a egg also. Looking forward to trying other recipe’s in the future. Thank you. I would like to know what the herb is that you have sprinkled on top. Making this for the second time! my husband loves it and thank you for a great recipe. Can this be made in the crockpot? If so what would the modifications be and how long? Anyone know? Has anybody used ground turkey instead of beef? Wondering if it would still all work? Loved it. Definitely going in my recipe box. Thanks for sharing. Loved this! Made it tonight. I did not have the gravy packages so I made my own gravy but it was delicious. Thank you for your recipes. My kids and husband loved it also! I made this for my family tonight and it was very well-received! So very delish! Thank you for sharing! I love salisbury steaks. There is something so comforting about the warm gravy and hearty beef. 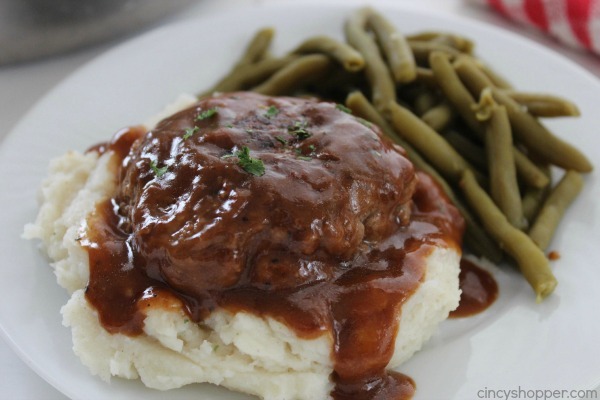 This is the best salisbury steak recipe I’ve made. Thank you! I like simple! The Salisbury recipe looks like a winner. i will try it soon. Thanks for the recipe and all the suggestions were entertaining! This was tasty! Added fresh sliced mushrooms to it. Mmmmm! Loved this recipe, my husband, kids and I really enjoyed it. Although, the steaks did fall apart, I will be adding an egg or 2 to help them stay together. Also doubling or tripling the gravy amount for a family of 4. Thank you for this delicious recipe, dad one for the book. I will be making this tonight. With Mashed Potatoes and green beans. I will make my own gravy and putting grilled onions on it as well. No dehydrated or instant onions. Its got to be the real deal. Instead of the bread crumbs I will be using minute rice. Salsbury steak is a true comfort meal. My husband loves it. I think I might make this for him as a surprise for dinner. The Salisbury Steak is 5 stars in my book!! I will definitely be making this meal again! Thank you for this recipe! My picky 3 year old cleaned her plate! 😮 that’s almost unheard of. I didn’t read any comments until I was already cooking so I didn’t add an egg. Only one broke apart and I was planning to cut it in half for my girls anyway. I also used 1/2 pound beef and 1/2 turkey as we’re trying to cut back on red meats where we can. Also, my husband said “I don’t usually like Salisbury steak but this is good.” Definitely going to save this one!! Yum! Great recipe & so easy. Only thing I changed is using Pepperidge Farm Herb Stuffing (my go-to for bread crumbs) & adding saute’d mushrooms. BTW, unless it says 100% grass-fed beef store bought grass fed beef means they get to graze 10-15 a day. Same with free range eggs. Chicks are only allowed out of the coop for a short time daily. I doubled this recipe for make ahead freezer meals. Doubled all the ingredients, used an egg and Dijon mustard. My family loves it.